Even movie stars are open to adopting some royal parenting moves! Anne Hathaway – who is mom to 2½-year-old son Jonathan Rosebanks with husband Adam Shulman – recently opened up to The Sunday Times about raising her first child, revealing that she took a cue from Prince William and Kate Middleton after reading about their parenting style. William is often seen squatting to get down to eye level with Prince George, 5, which helps him feel safer and more in control, PEOPLE previously revealed. William, 36, isn’t the only royal family member who practices this move either! Princess Kate, 37, is often seen getting down to her children’s level. 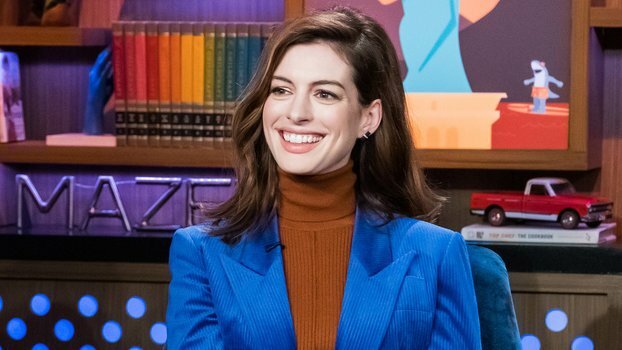 Hathaway recently made headlines after revealing that she gave up drinking completely to focus on motherhood.